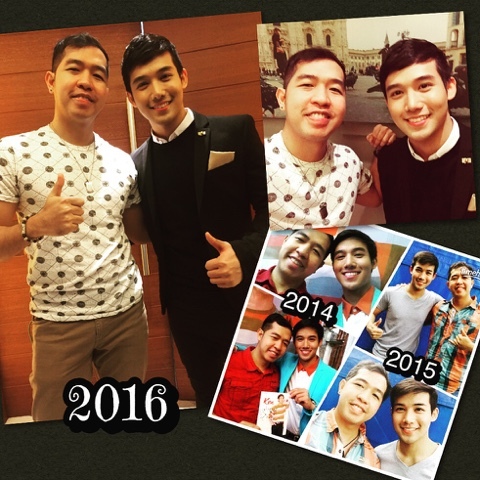 We already met with today's hottest chinito actor Ken Chan wayback in 2014. That was during the launch of his very first self-titled album. In 2015, we met very often. The first one was during our set visit in his previous afternoon teleserye "Healing Hearts." And then before the year end, we had a Kapuso Christmas party and that time, he was already playing the character of "Destiny Rose." Now in 2016, we had a great time during the GMA Bloggers' Style Camp where he won the most number of awards. And he was also prepping up for his upcoming concert "My Destiny."